Our second and third dive today were at Cape Kri and South Kri point. The current remained strong in both diving points, but not as strong as in Chicken Reef. We just enjoyed ourselves, letting the current take us down the slopes, enjoying the scenery, coral garden was everywhere as far as the eye could see. A breath-taking scenery. Franky met with a black-tip shark who immediately flee as it saw him. Maybe the shark did not expect to meet other creatures bigger than itself. In total, there were two sharks we encountered on this dive. 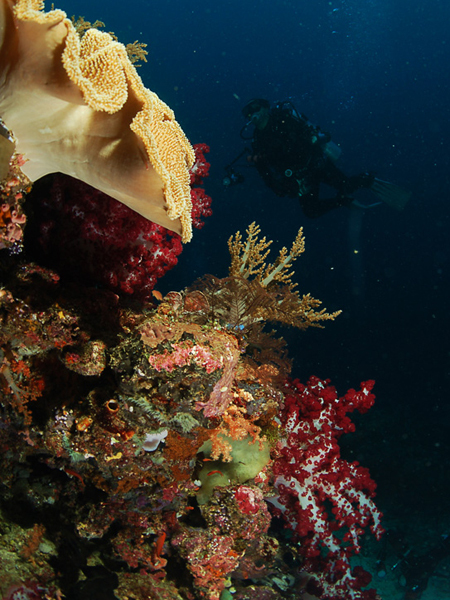 There are 7 areas in Raja Ampat marine conservation. 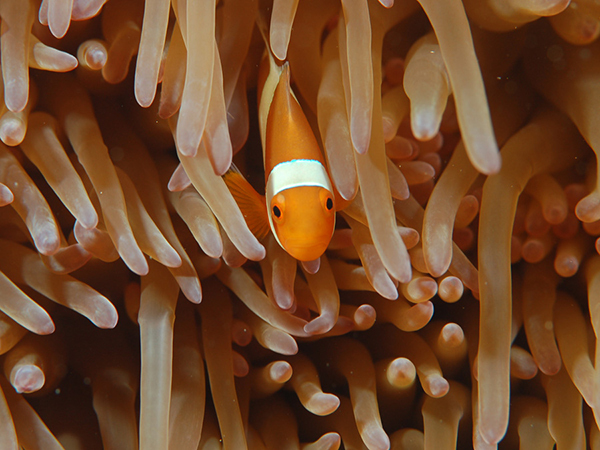 All dive operators operating in Raja Ampat are in collaboration with the local governments and NGOs in conserving the underwater world in this area. Each participant will be subject to conservation fee to support this program. Especially for LOB trip, it is advised to check & match the flight schedule and ship schedule, since not everyday Jakarta-Sorong vv flight is available. 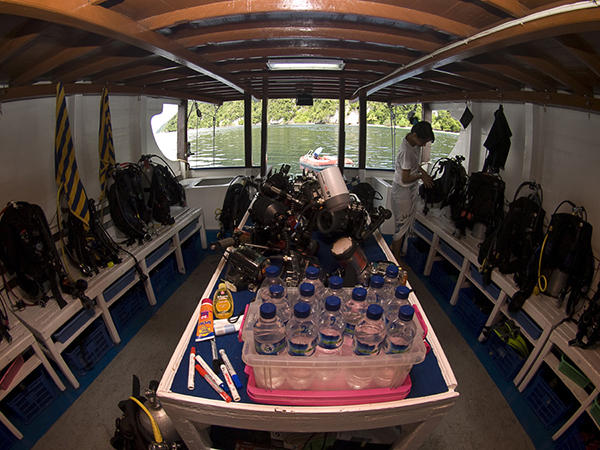 For land-based trip, Sorong-Raja Ampat vv transport is normally provided by the dive/resort operators. Public transport is available in Sorong. However, for Sorong city-tour and souvenir shopping, rent-car plus the driver is more recommended. The hotel can arrange the rent-car, normal tariff is IDR 75,000 to 100,000 per hour.